Embattled Theresa May is pleading for MPs to give her more time to overhaul her Brexit deal – as she faces a Labour ambush that could kill off her plans within weeks. The PM has promised another ‘meaningful vote’ as soon as possible, but Labour is determined to reduce her wriggle room. 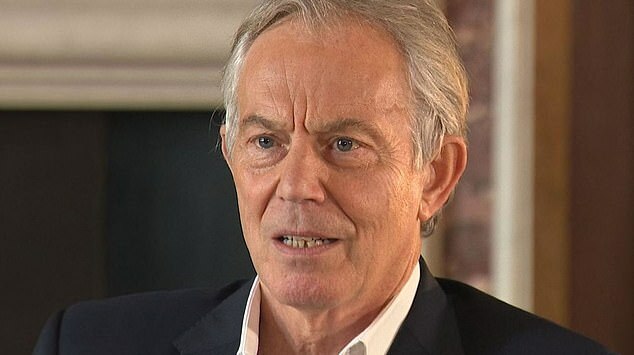 Tony Blair stepped up his warnings on no-deal Brexit today saying it would be ‘devastating’ for Northern Ireland and breach the Good Friday Agreement. The former PM said crashing out of the EU would inevitably lead to a ‘really hard border’ on the island of Ireland and cause a huge split within the UK. Despite a series of setbacks for those campaigning for another Brexit referendum, Mr Blair said still hoped one might happen when people saw the ‘true alternatives’ the country faces. Former Labour leader Mr Blair heaped pressure on Mrs May this morning by issuing another dire warning about the consequences of leaving without a deal. ‘No one could responsibly propose (a no-deal Brexit). It would be economically very, very dangerous for Britain, and for the peace process in Ireland it would potentially be devastating, ‘ he told Sky News’ Sophy Ridge On Sunday. On the BBC’s Andrew Marr show today, Housing Secretary James Brokenshire refused to confirm that the vote on a deal would happen by the end of February. 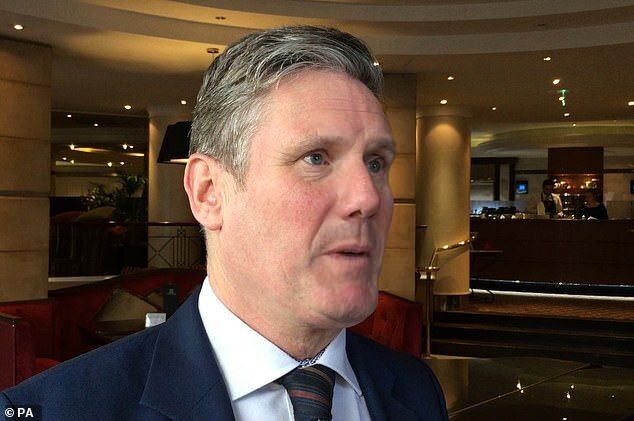 ‘If the meaningful vote has not happened, so in other words things have not concluded, then Parliament would have that further opportunity by no later than 27 February,’ he said. 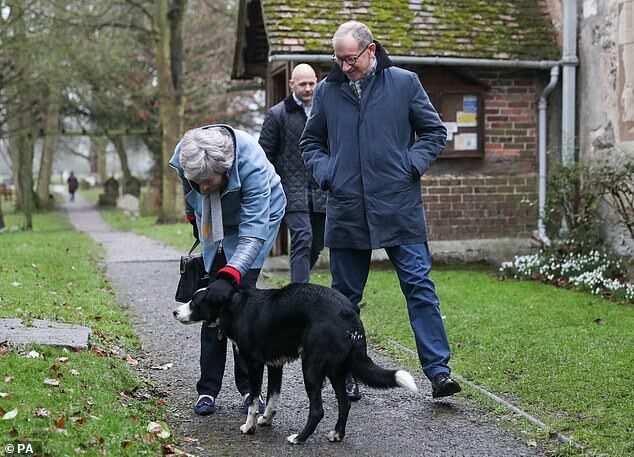 Instead he appeared to be trying to outflank Mrs May by pitching to join forces with Tories who want a softer Brexit, calling for a customs union and close alignment to the single market. Treasury Chief Secretary Liz Truss refused to rule out quitting today if Mrs May shifted to a position of backing a customs union in order to get a Brexit deal through Parliament. Treasury Chief Secretary Liz Truss refused to rule out quitting today if Mrs May backs a permanent customs union in order to get a Brexit deal through Parliament. Labour has demanded the concession from the PM and close single market alignment in return for supporting her package. CBI Director General Carolyn Fairbairn highlighted the growing concerns about deadlock today. 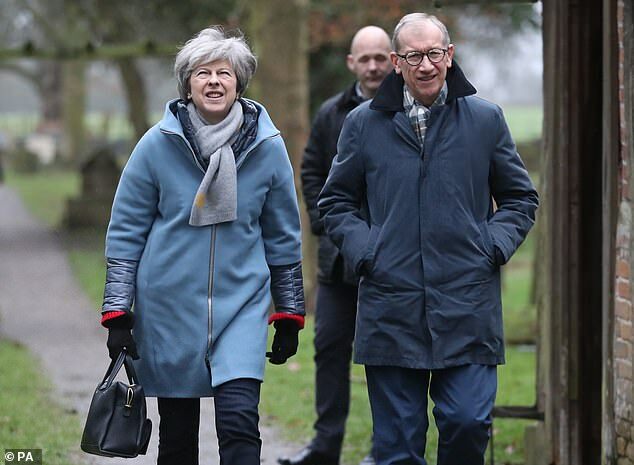 ‘It feels like the parliamentary process is in logjam, no way can be found through, so that prospect of no-deal feels much higher,’ she told Sky News. In a speech in Coventry yesterday, Mr Corbyn said that without an election ‘we will keep all options on the table – as agreed in our conference motion – including the option of a public vote’. Pro-Brexit lawyers have warned that EU states would demand more concessions in return for extending the Article 50 process beyond the end of March. In a report, Martin Howe QC said ‘Spain is likely to demand permanent concessions over Gibraltar’ in return for more time. ‘By asking for a favour when up against the clock, the UK would once again put itself in a very weak negotiating position,’Mr Howe wrote. Meanwhile, pro-Brexit lawyers have warned that EU states would demand more concessions in return for extending the Article 50 process beyond the end of March.